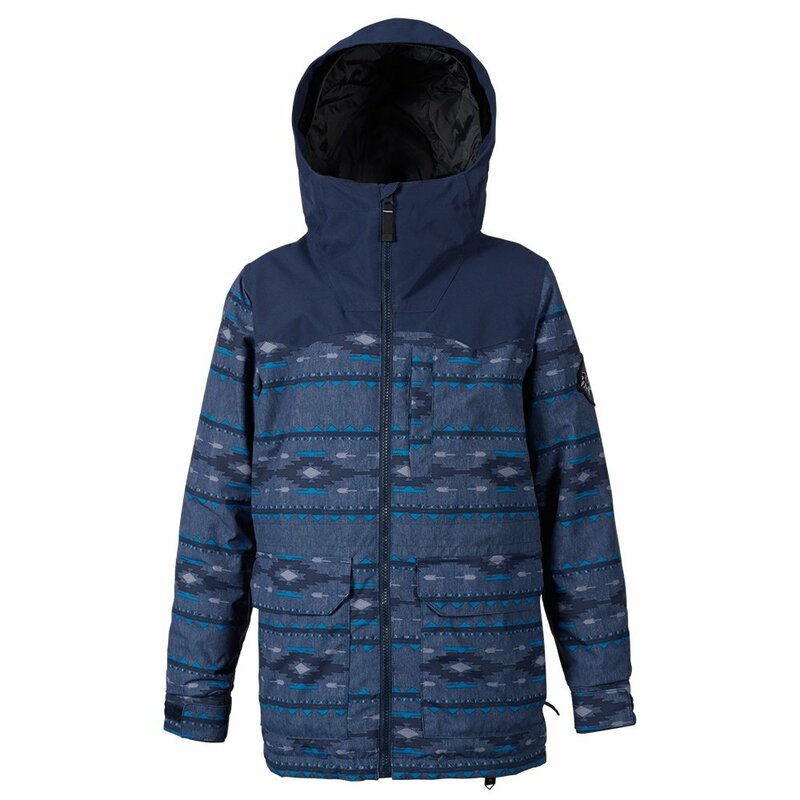 They will never fear the cold again with the Burton Phase Insulated Snowboard Jacket. The Phase keeps them warm and dry with two layers of DryRide waterproofing and 100G of Thermacore™ insulation throughout. Zippered handwarmer pockets, chest pocket and Velcro® cargo pockets and make for convenient and toasty storage of snacks or phones. And the high neck collar and helmet-friendly hood locks the elements out. If they get too toasty, they can quickly unzip the mesh-lined Pit Zips™ for a little fresh air. They can boldly conquer any slope with the Burton Phase Insulated Snowboard Jacket. Bluesign® certified products give the consumer peace of mind in knowing the materials for their product were responsibly sourced and no harmful substances were used in the process. Mesh lined sleeve vents allow for quick cooling in warm situations. Removable wrist and waist gaiters help to keep cold air out or let fresh air in.